Love everything about it. Nicely done sir. I'd like to echo Jeremy's sentiments. This is creatively spot-on. 2011 is off to a great start! That is fantastic. I really want you to draw a Superman series. I always thought you and Roger Landridge would create one hell of an all ages Superman series. There is nothing to see here! haha brilliant, sir. Great shot, love the line work. 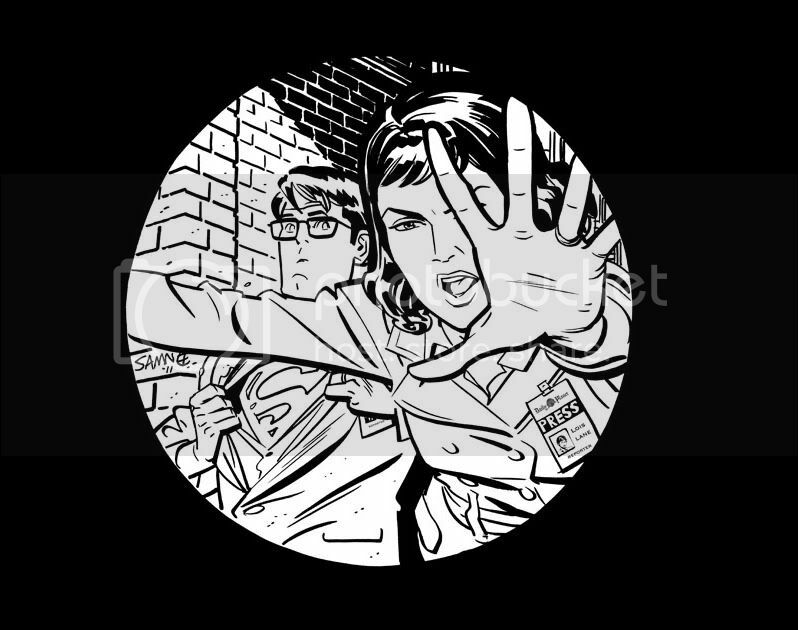 Makes me wish all the harder that DC would pull together the sense to do a Lois Lane series. Is the scene being viewed through Jimmy Olsen's lens? I'd love for him to end up knowing the secret even if they reset it. DD vs Black Widow up for auction!